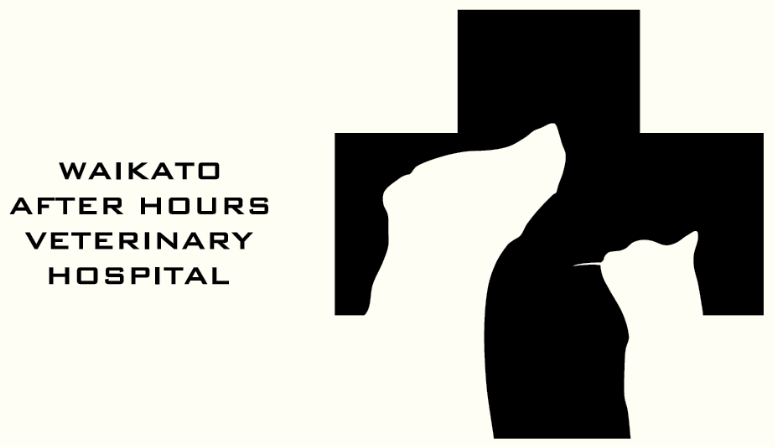 Waikato After Hours Veterinary Hospital is a dedicated referral hospital combined with overnight emergency care. We are your emergency vet for all Waikato situated in Hamilton! 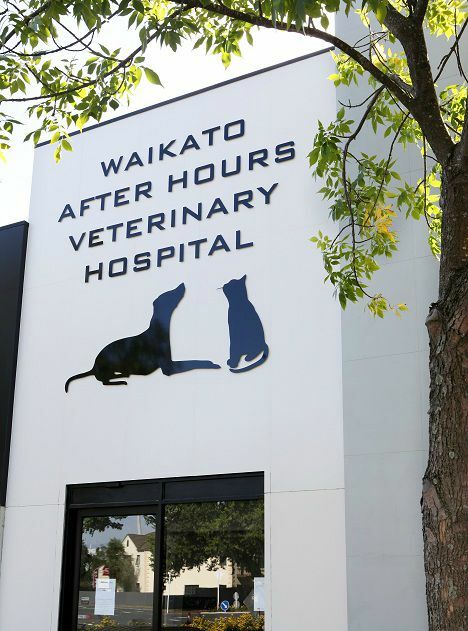 The Waikato After Hours Veterinary Hospital is here for your pet when your regular clinic is closed. We provide a dedicated, compassionate team all night and weekends to look after your beloved pet in times of emergency. With on-site diagnostic equipment and experienced emergency and critical care vets and nurses, we can work with you to provide the best treatment necessary until you can get to your own vet. We can also look after your pet overnight if they have had a big surgery during the day or are in need of extra medical care overnight. We are available all through the night, public holidays and weekends. We will treat, stabilise and hospitalise patients where needed and perform emergency surgery. Our nurses will closely monitor and treat your patients. We offer two overnight monitoring packages and these are designed for animals on IV fluids or frequent injectable medications/pain relief, through to the critically ill patients. We can run serial blood gases including lactates on these patients. Critical Care 1 Package is also indicated for clients who request their pet is not left alone overnight in a clinic situation. We can run co-ag panels, lactate levels and idexx full blood panels for Vets on an outpatient basis in the weekends if you require this. When we close in the morning, patients requiring ongoing care will be transferred back to your clinic with comprehensive notes, diagnostic results and a printed detailed smart flow chart of all the monitoring parameters. We are fortunate to have Dr. Trudi Mcalees, a registered Emergency and Critical Care specialist working alongside us in The Referral Center. This will enable you to refer your critical care cases to us for 24 hour round the clock care under her guidance. Full blood analysis on site, including blood gas and coagulation panels; urinalysis. WAVH is a companion animal After Hours Emergency Veterinary Clinic in Hamilton, New Zealand. We are fully equipped with digital x-ray, ultrasound, idexx blood machine, radiometer (blood gases), capnograph, blood pressure, ECG, oxygen cages, infusion pumps, syringe drivers. We have an in-house CT scanner. State of the art digital hospital smartflow system which allows us to accurately chart and monitor your pets treatment and response to treatment. My pet is insured. Do I still need to pay for treatment? Yes. Due to the fact that we cannot contact your pet insurance company after hours, you will need to provide them with your claim and they will reimburse you. We will provide you with complete medical notes and a copy of the invoice for your claim. If you would like a digital copy of your pets medical notes, please ensure we have your correct email address when you leave. What if I don't have accessible funds at the time of consult? We currently offer Petfunders, Q Card and Oxipay finance options. Unfortunately, veterinary care is not a free service, but it is essential to us that your animals' welfare requirements are met. If you are applying for finance at the clinic, please bring your identification with you and be prepared for an extra half an hours wait to process any applications. Do you require a deposit before treatment? Yes. It is not always possible to give you an exact quote for your pets treatment so we will give you an estimate range. A deposit of the low end of the estimate range is required before treatment/surgery commences. Any outstanding balance owing is due upon discharge. Do I need a referral to come to the WAVH? No referral or appointment is necessary but please call us and advise us you are on your way if you can. We want to be prepared for your visit and we can also advise you of any wait time. Can I request my animal be transferred for overnight monitoring? Yes. You can ask your primary veterinarian to transfer your pet to us for overnight monitoring. Talk to your vet about the monitoring packages we offer and what they would recommend for the care of your pet. On weekdays we open at 6pm and close at 8am. We are open 24 hours on weekends and public holidays. Will WAVH update my primary vet of our visit? Yes. We email a digital copy of medical histories, hospital charts, anaesthetic charts and blood results to your primary veterinarian. Depending on our case load, these are usually with your primary clinic by the following morning. Please ensure you advise us which clinic you will be going to for any further treatments or follow ups. Who will provide ongoing treatment? Your primary veterinarian will provide follow up care and treatment . They know you and your pet well so it is important they advise you of the options available for any ongoing care. Will the vet update me during the night regarding my pet's treatment? If you would like us to call you we can organise this. We can get quite busy stabilising and treating our inpatients so if you are concerned you haven’t heard from us, please feel free to call. No news is good news! Does WAVH do home visits or call outs ? No. Unfortunately, we only have one veterinarian on site at a time and it is unsafe for our inpatients for them to leave. How do I get a referral from a vet? A referral is not essential but we can admit your pet directly from your primary clinic for ongoing monitoring and care after consultation with the veterinarian managing your case. Can I visit my pet during the night? If you would like to arrange a visit with your pet that is fine with us. Just be aware that there are other critically ill patients in our hospital and sometimes diagnostic procedures make it unsafe for you to be in our ICU. We are also happy to speak to you on the phone if you would like to call for updates. What will happen when I arrive with my pet? When you arrive at our clinic, you will be asked to complete a client details form. The nurse greeting you will enter your details onto the system and triage your pet. We run just like a human accident and emergency clinic so the nurse will assess the urgency of your pet compared with other incoming and hospitalised patients. The nurse will do a basic exam of your pet and take a history , potentially admitting your pet to our ICU for immediate first aid. The duty veterinarian will assess your pet and come and speak with you about their findings and work with you to come up with a treatment plan that best works for you and your pet. Who will transfer my pet to WAVH if we are at our primary clinic? You will need to transfer your pet to us. Upon arrival, the nurse will do an assessment and you will meet the vet who will be in charge of your pets care overnight. The vet will discuss with you what treatment will be provided and confirm a contact number if we need to get in touch with you. If your pet stays the night with us you will need to pick them up before 8am on weekdays and either transfer them back to your primary clinic or take them home if they are well enough. Does WAVH provide cremation services? Yes. We have a relationship with Pet Farewells and they collect and return pets to us several times a week. What if my pet needs to see a specialist urgently? Veterinary specialists are usually only available during normal day working hours. Your primary vet will work with you to refer to a specialist if required as soon as your pet is transferred back to them in the morning. Please call us or come in and see us if you have an emergency vet situation. YES! We are open ALL weekend.